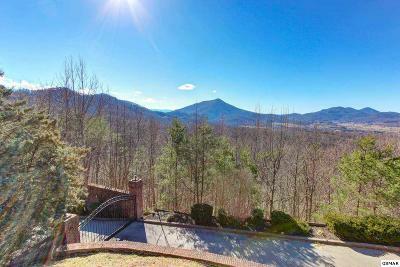 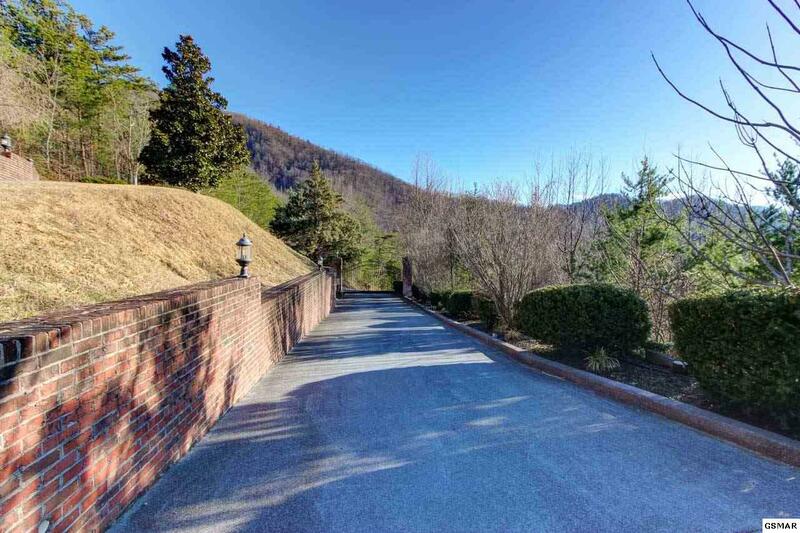 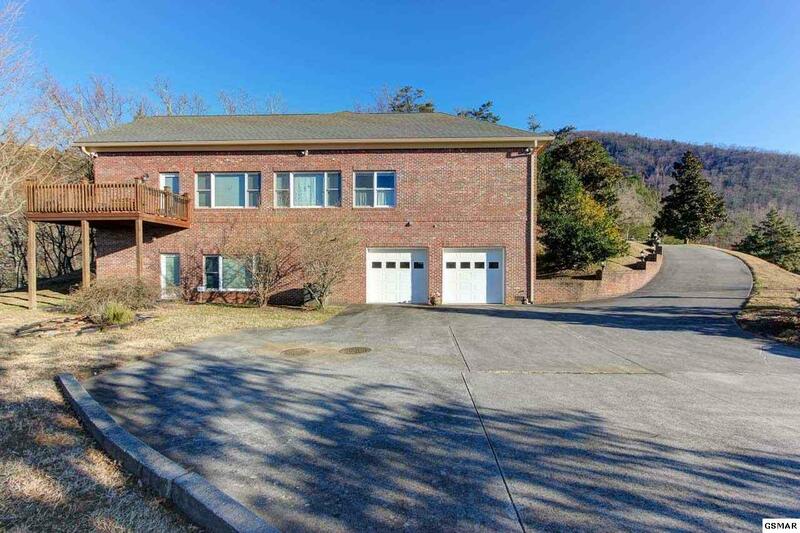 Savor a low-maintenance mountain lifestyle in this all-brick custom home on 8.74 acres overlooking a magnificent view of Wears Valley. 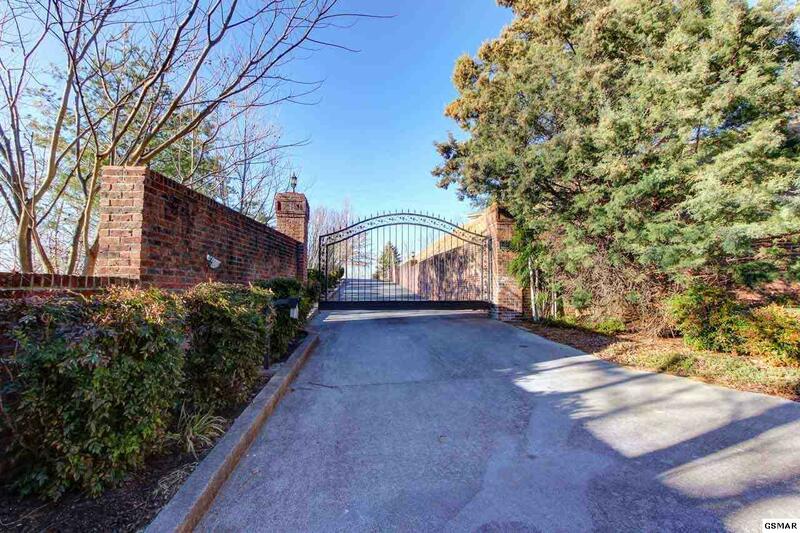 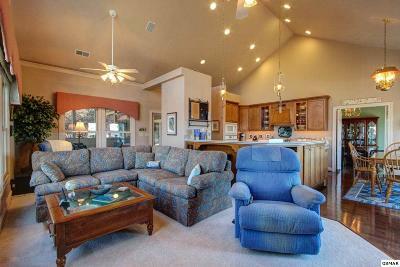 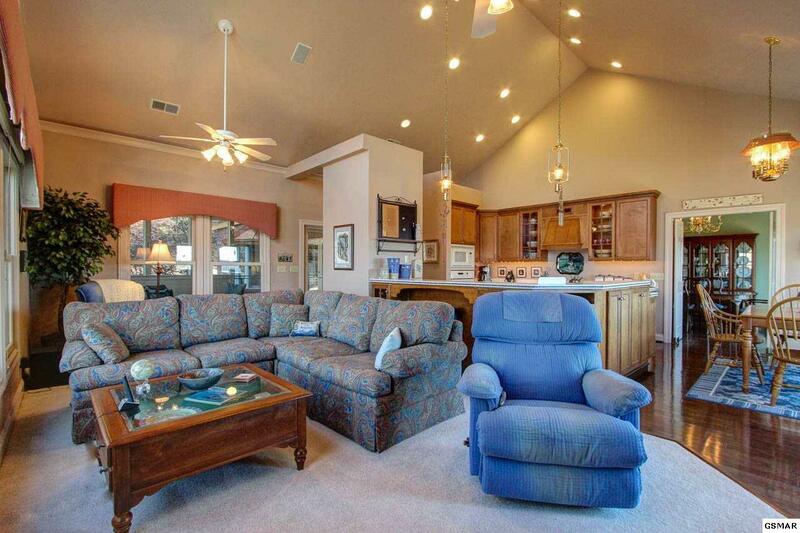 A gated entrance leads through professionally landscaped grounds to paved parking on two levels. The main entry opens into a foyer/formal living room with trey ceiling, gas log fireplace, and access to the oversize screen porch. 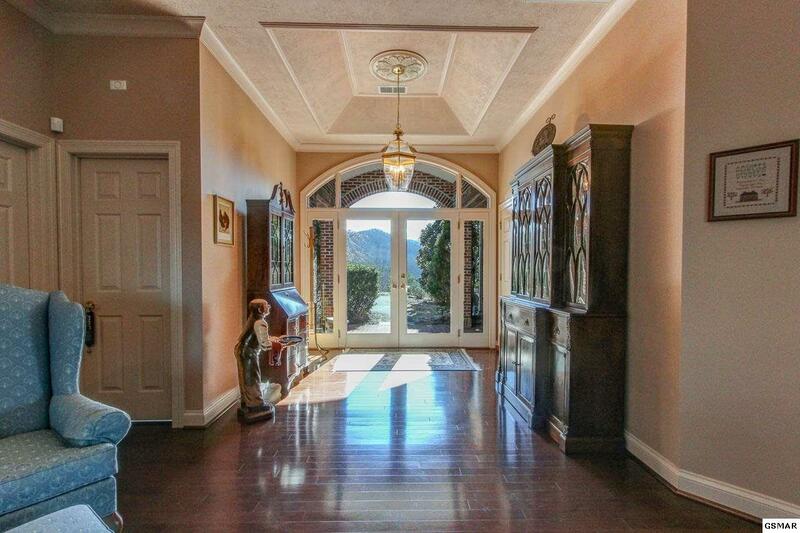 A short hallway takes you to the great room, which brings the kitchen, family room, and breakfast nook together under a cathedral ceiling. 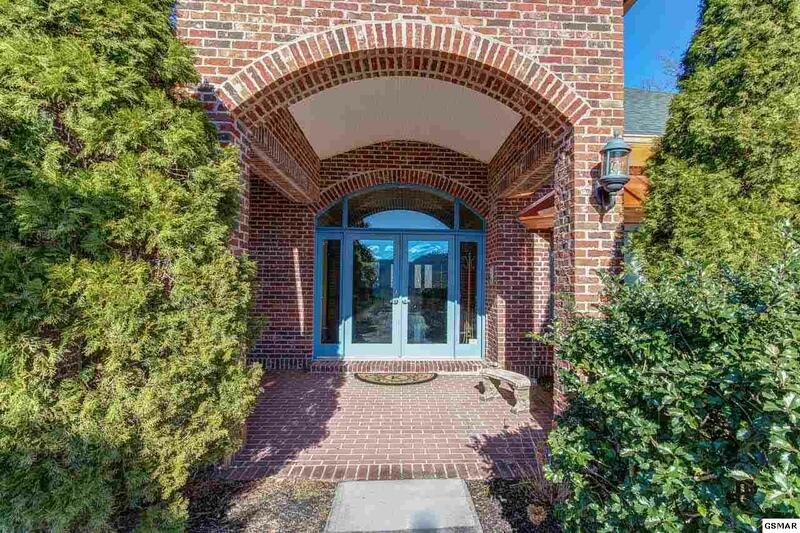 Luxury touches abound in this space, from the 16' domed windows to the custom kitchen with lighted display cabinets to the Trex-floored outdoor balcony. 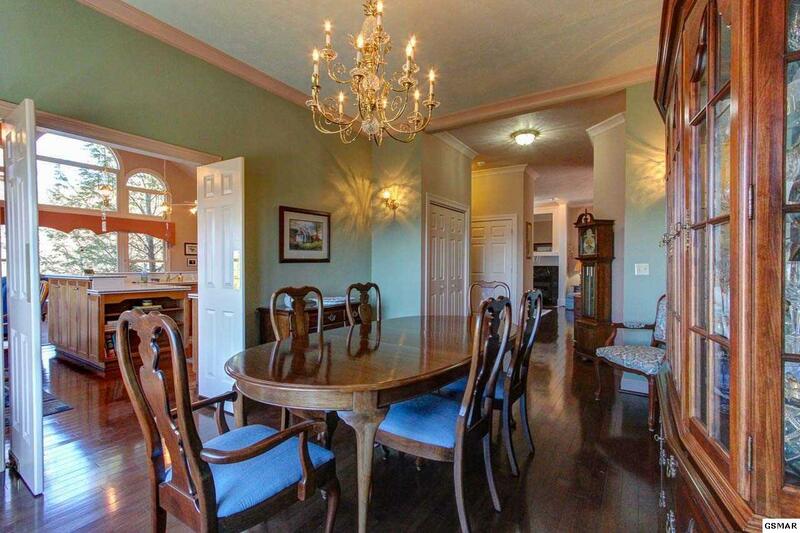 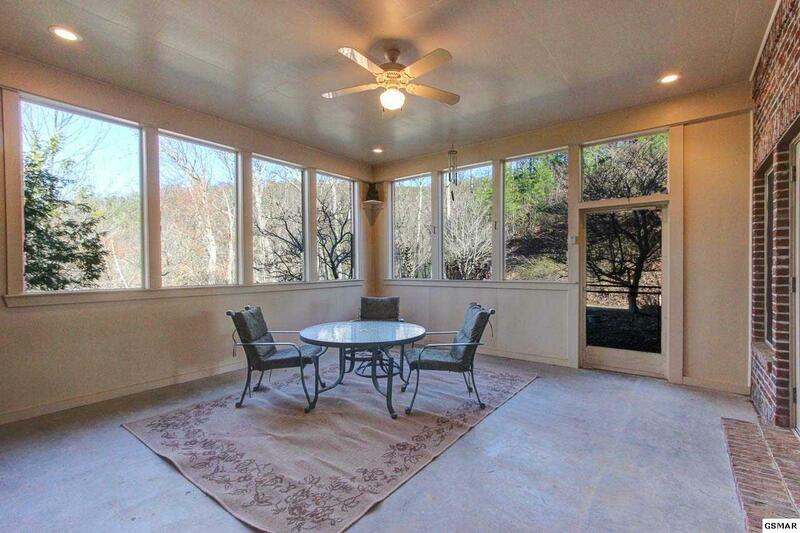 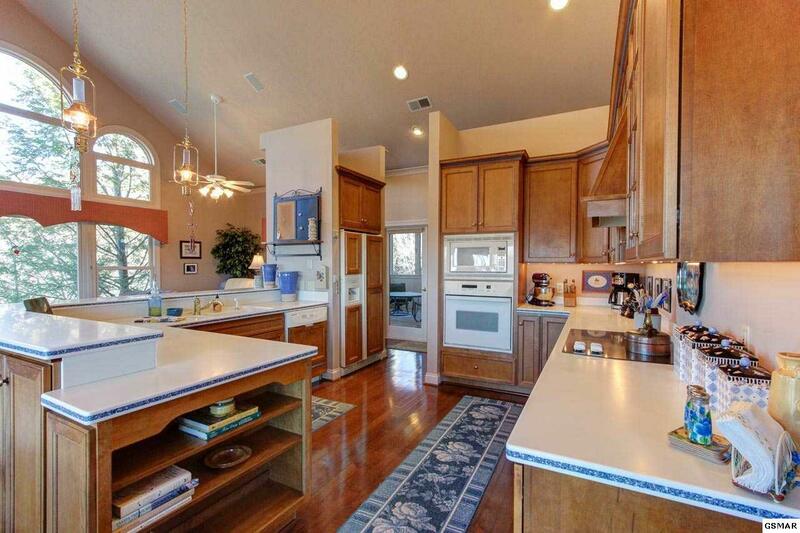 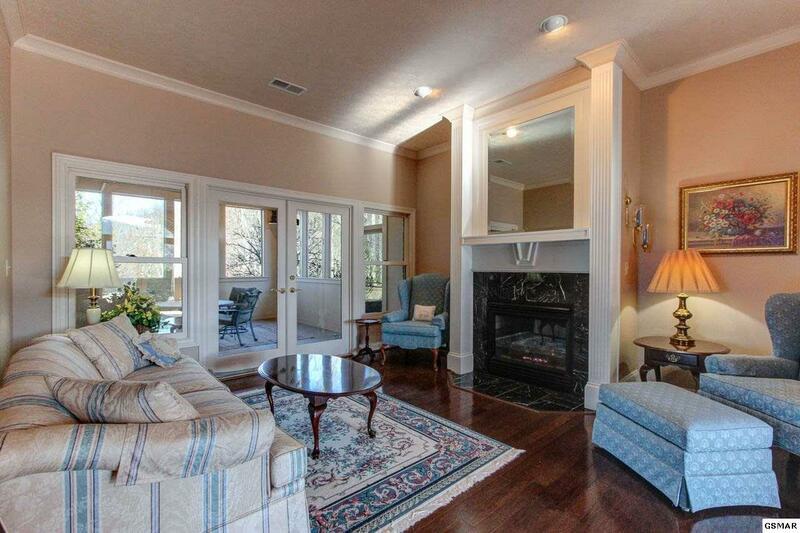 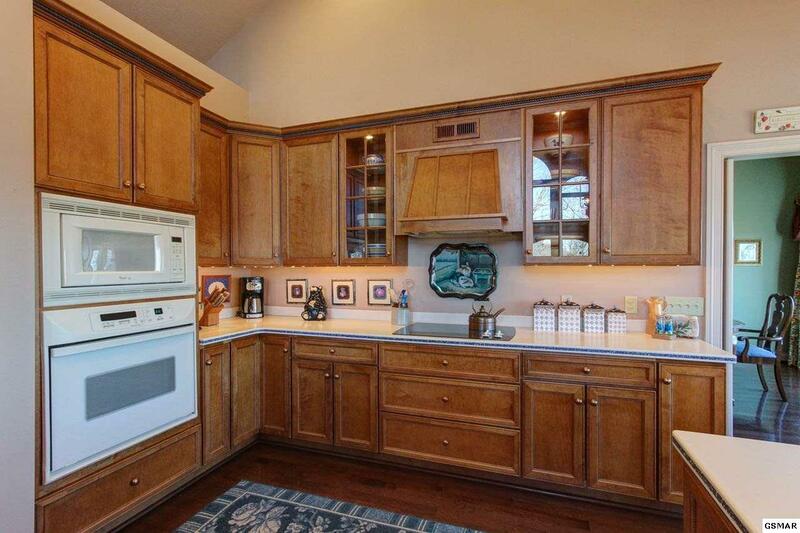 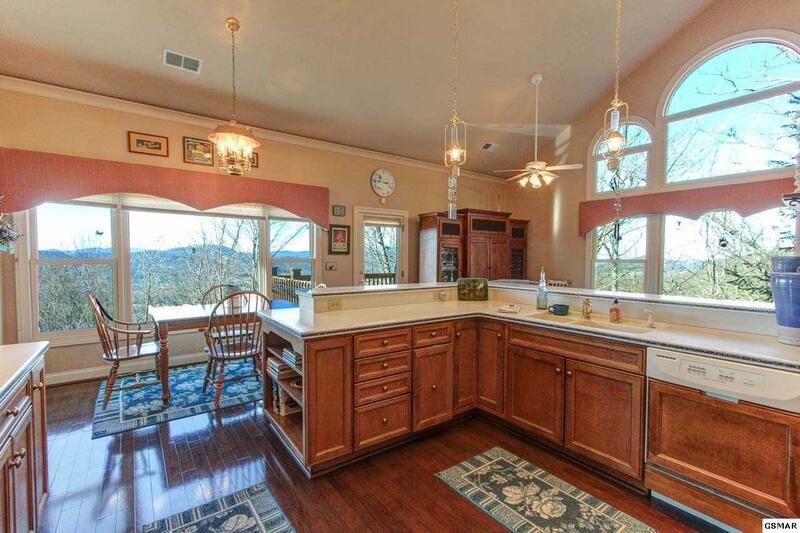 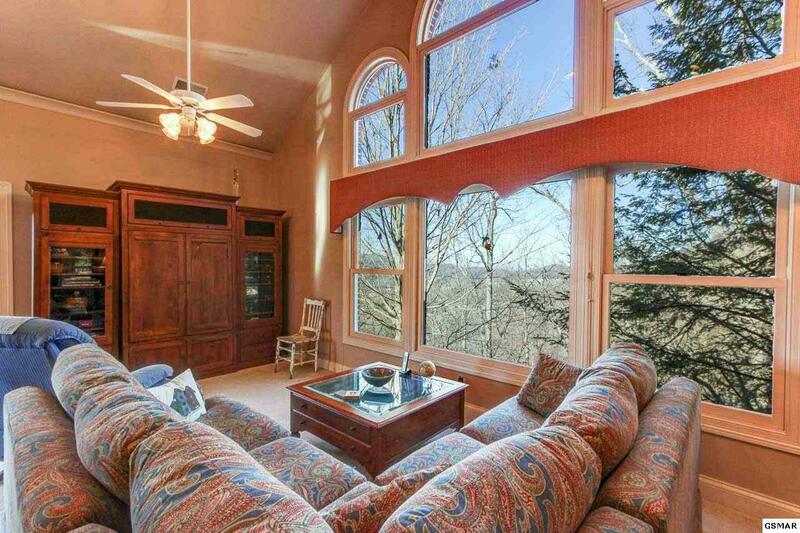 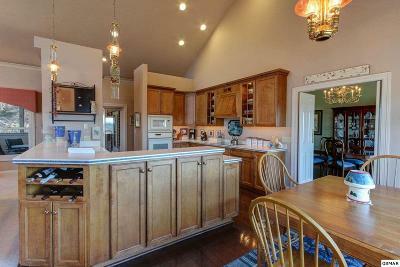 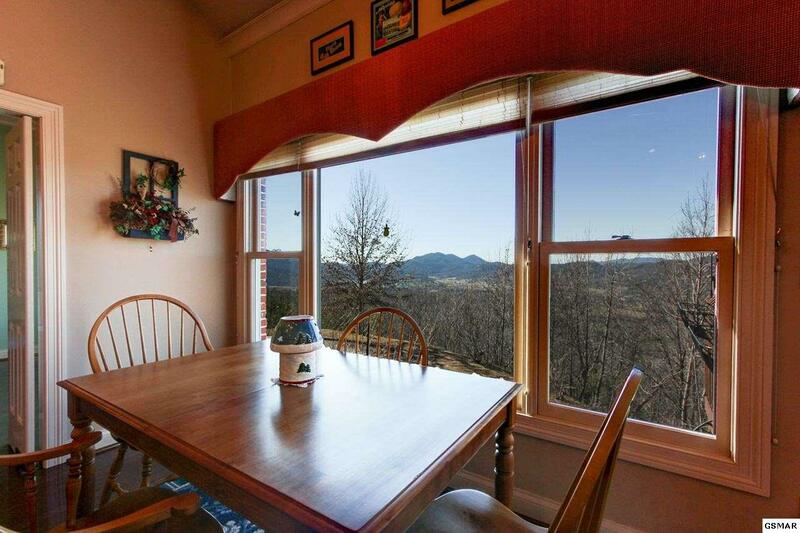 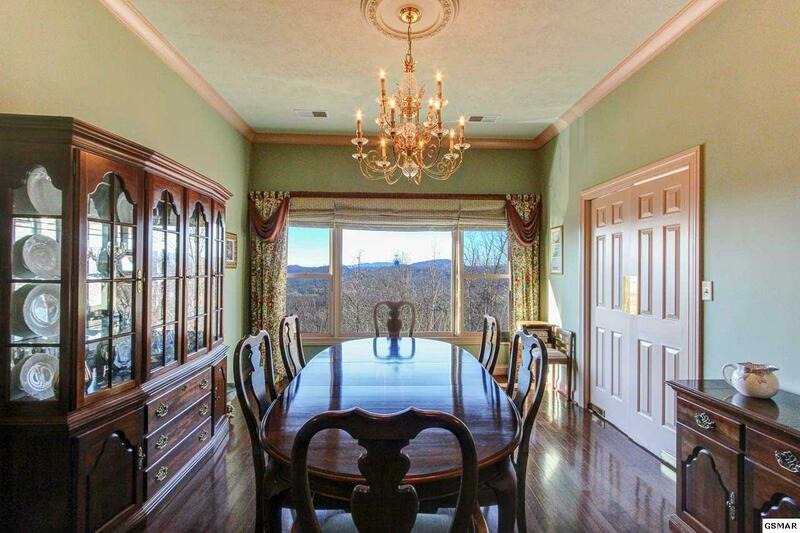 The adjacent formal dining room has a large picture window to enjoy the vista. 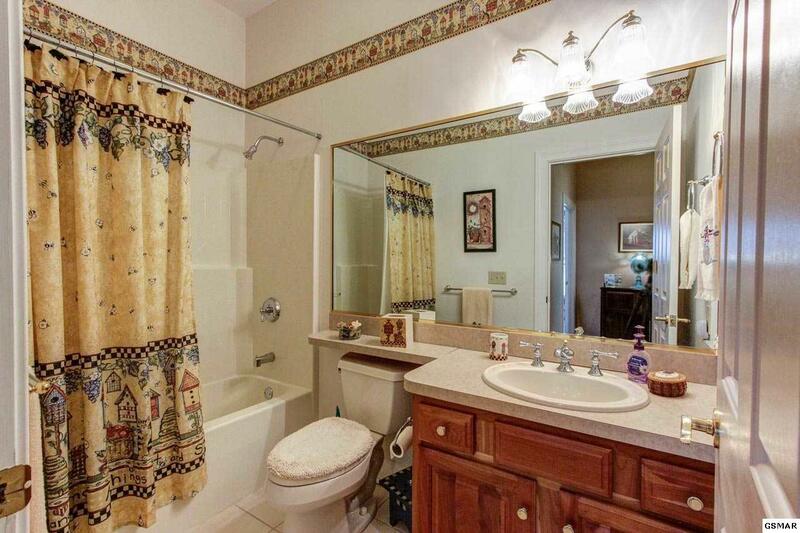 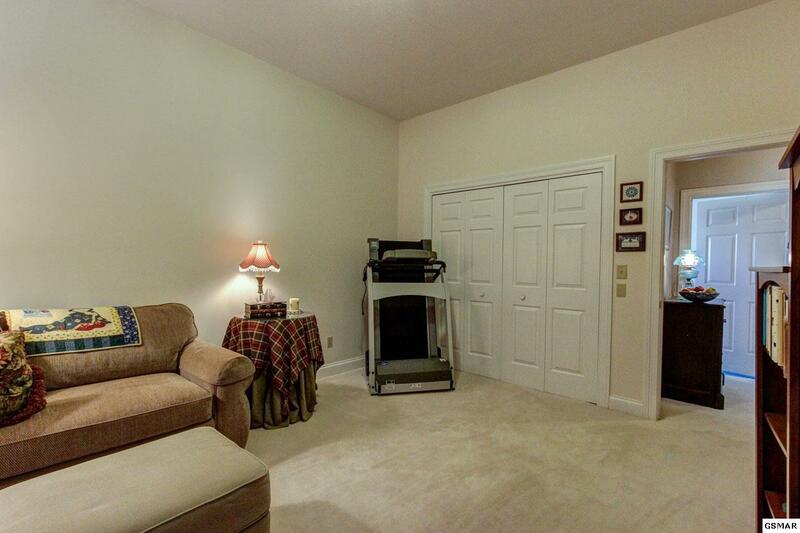 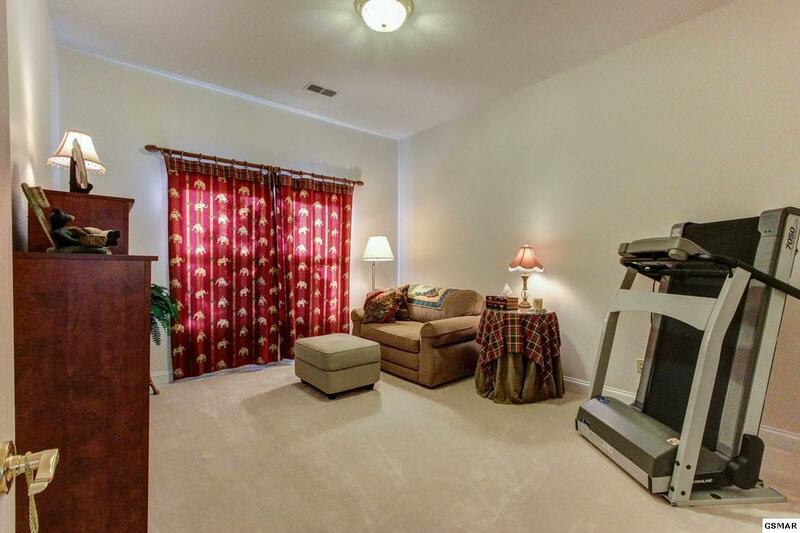 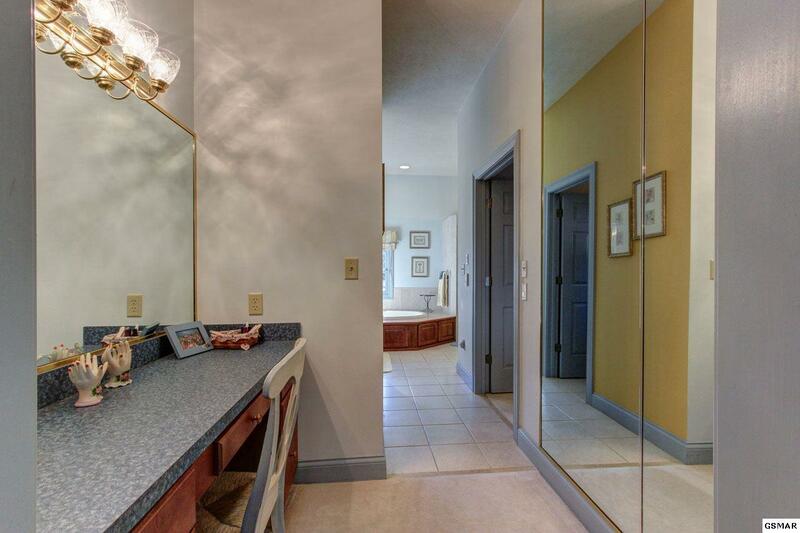 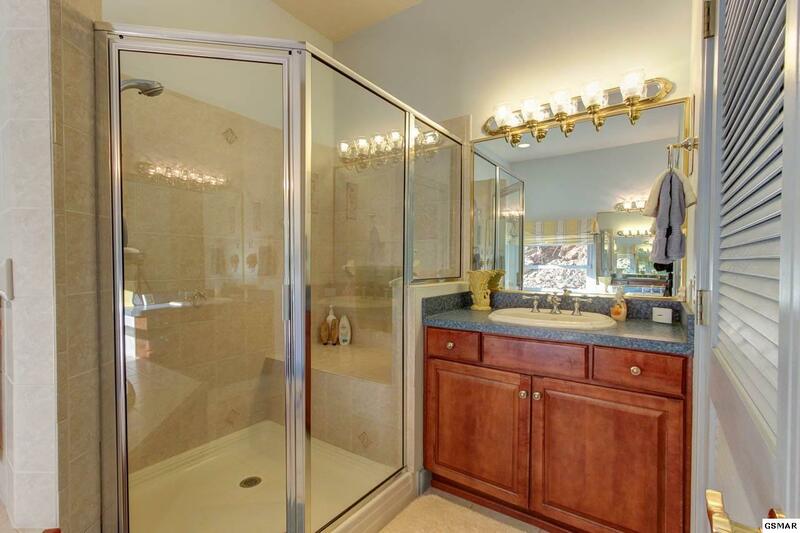 Another hallway leads to 2 bedrooms that share a full bath, and the laundry room. 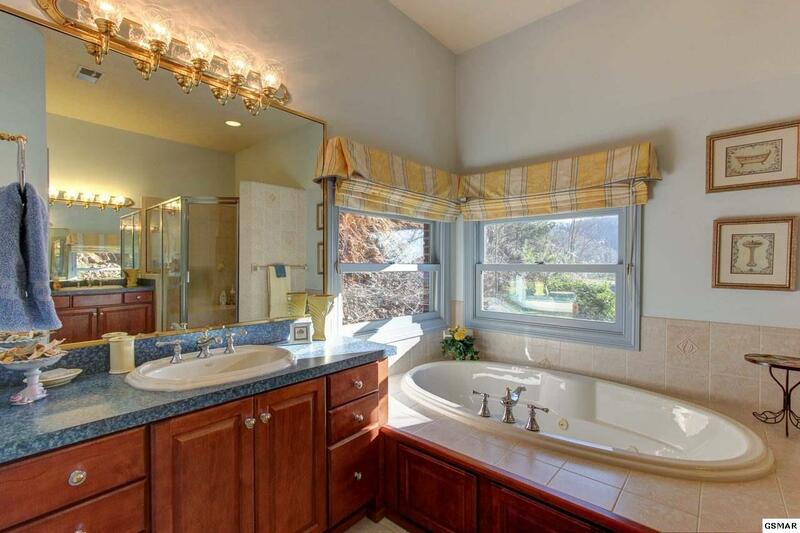 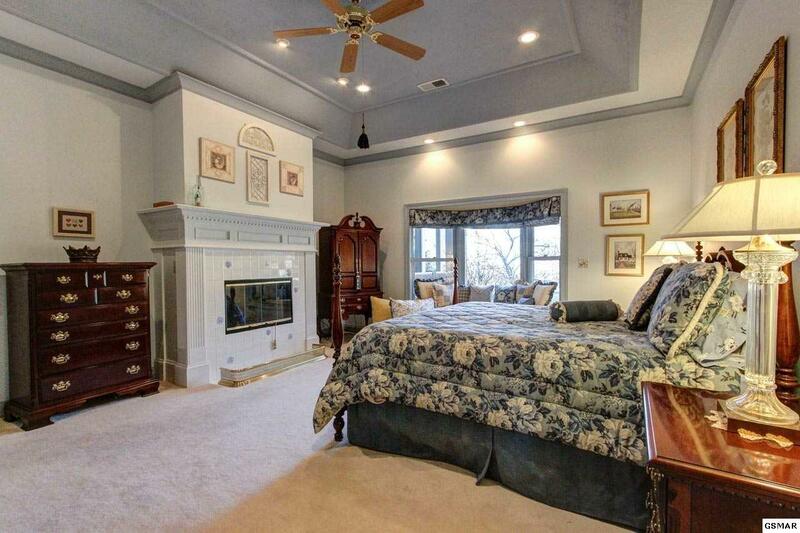 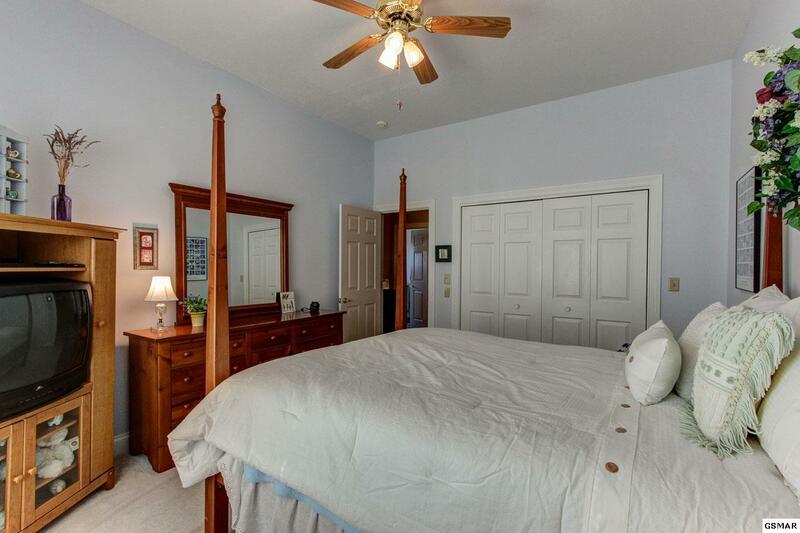 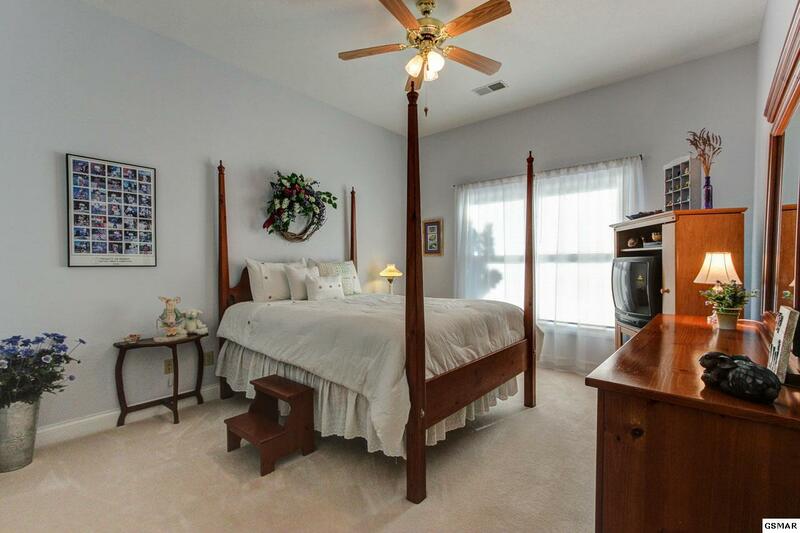 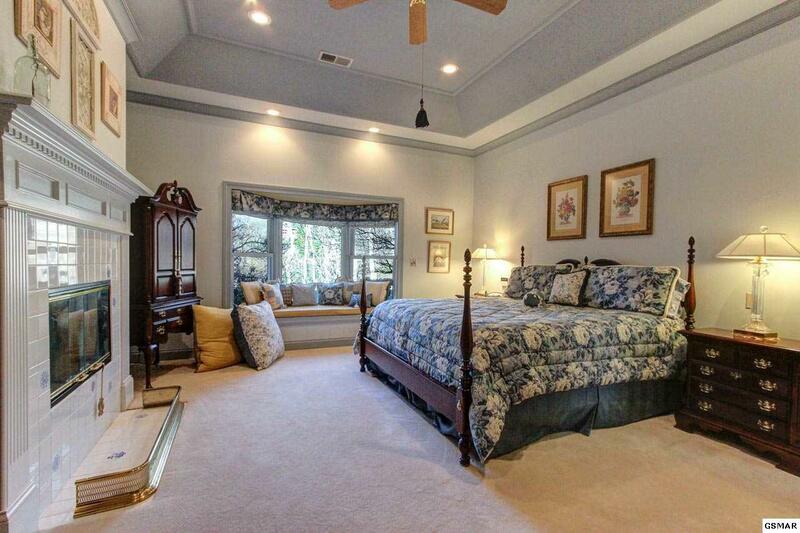 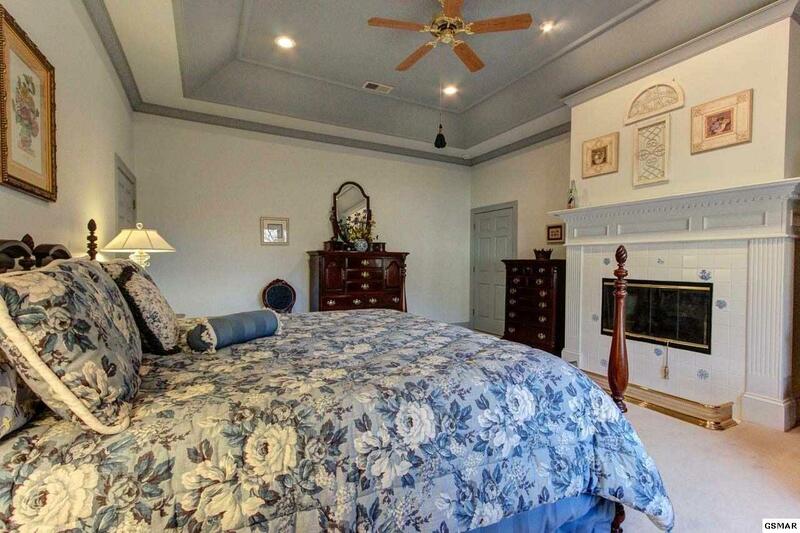 At the other end of the home is the sumptuous master suite: a huge bedroom with trey ceiling, fireplace, and bay window sitting area, a dressing room with vanity and walk-in closet, a water closet, and a bath area with jetted tub, step-in shower, and dual vanities. 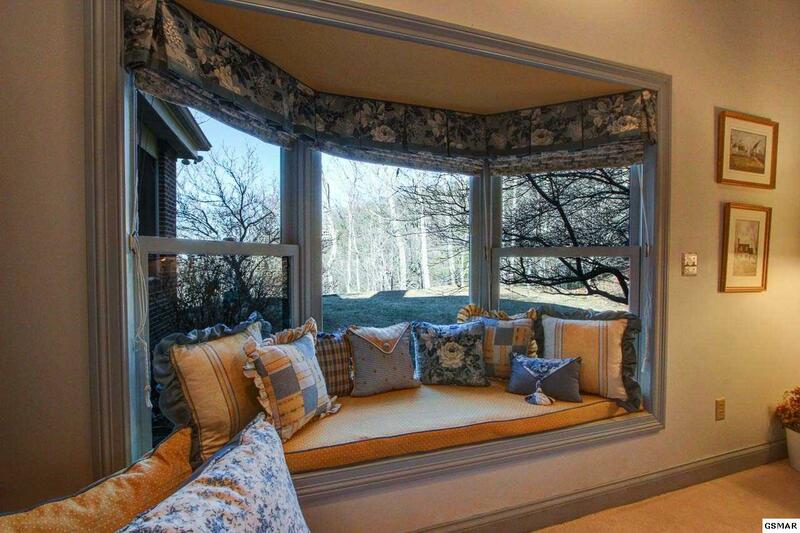 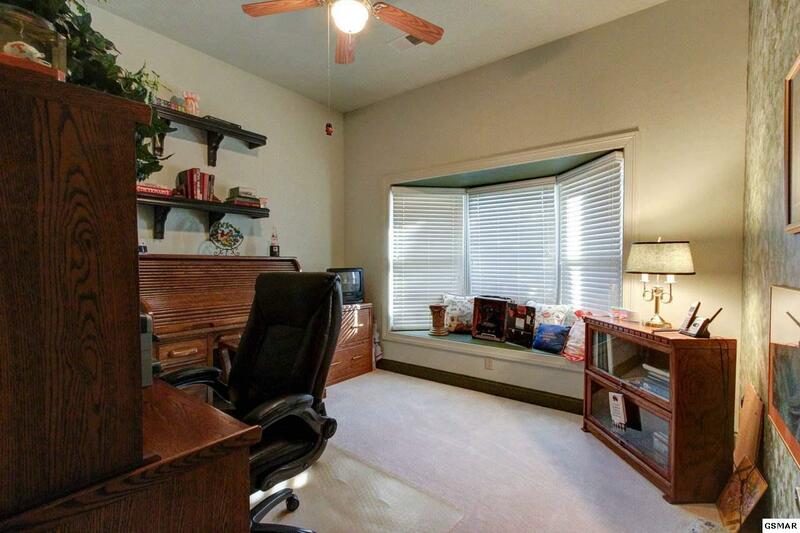 A home office with bay window rounds out the main level. 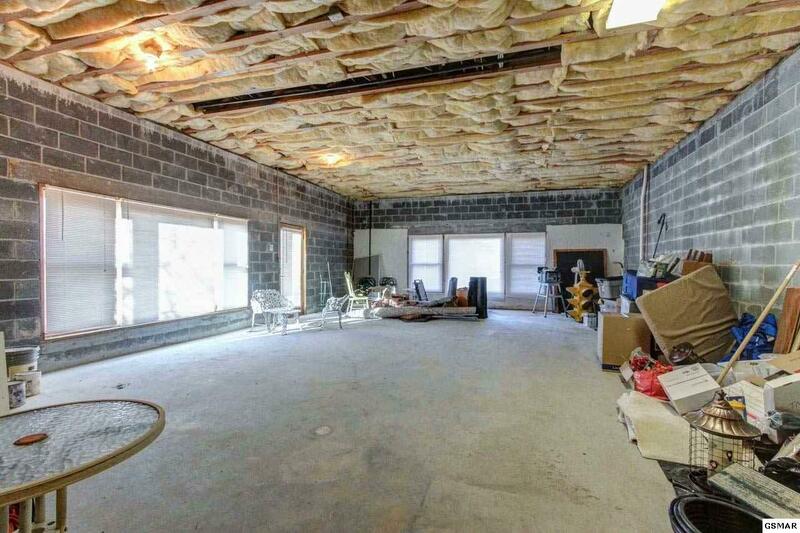 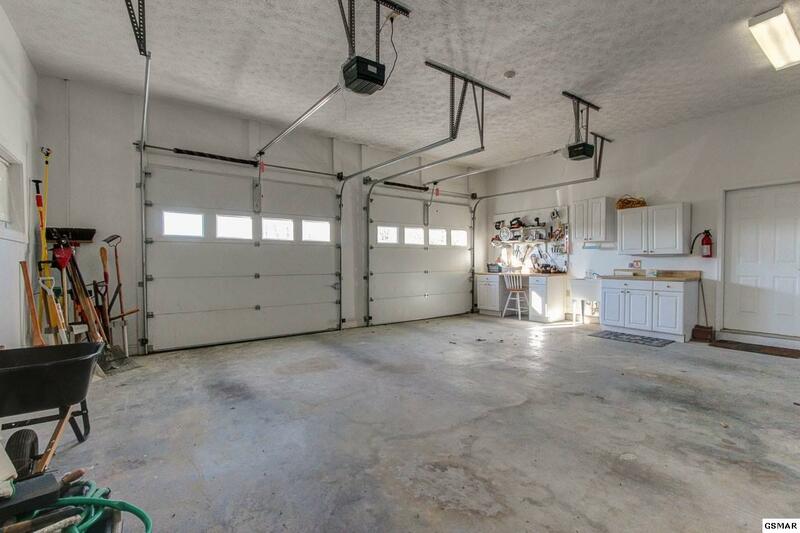 Downstairs is a 2-car garage with workbench and utility sink, as well as a large unfinished space (with outside entrance) that could be finished as additional living space, an in-law suite, or a tremendous home theater. 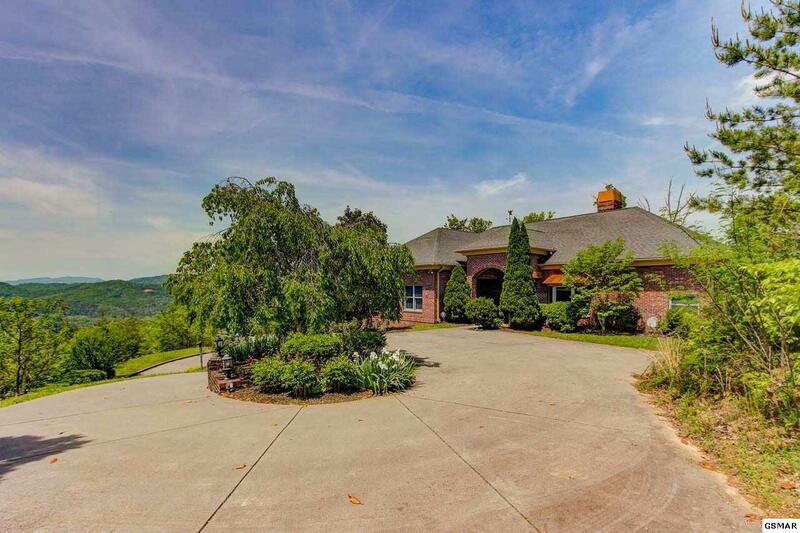 This architect-designed home was built using premium materials including Marvin Windows, Mannington & Karastan flooring, and KitchenAid appliances for lasting comfort and value. 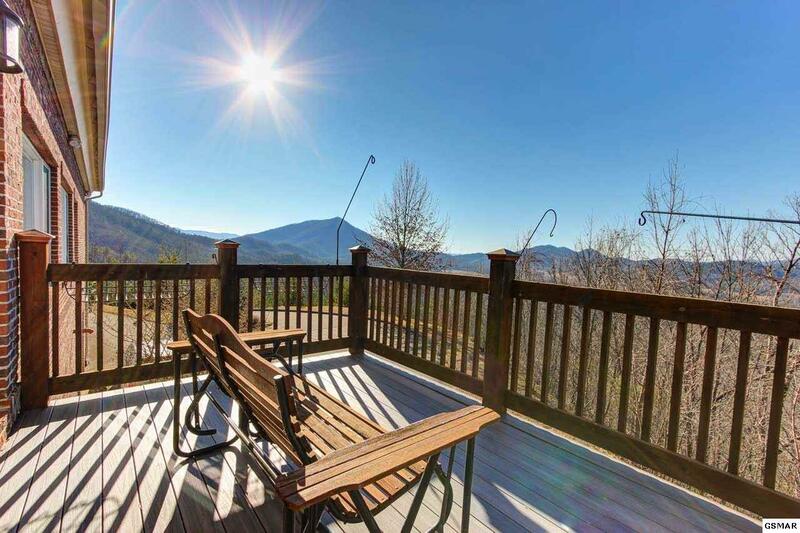 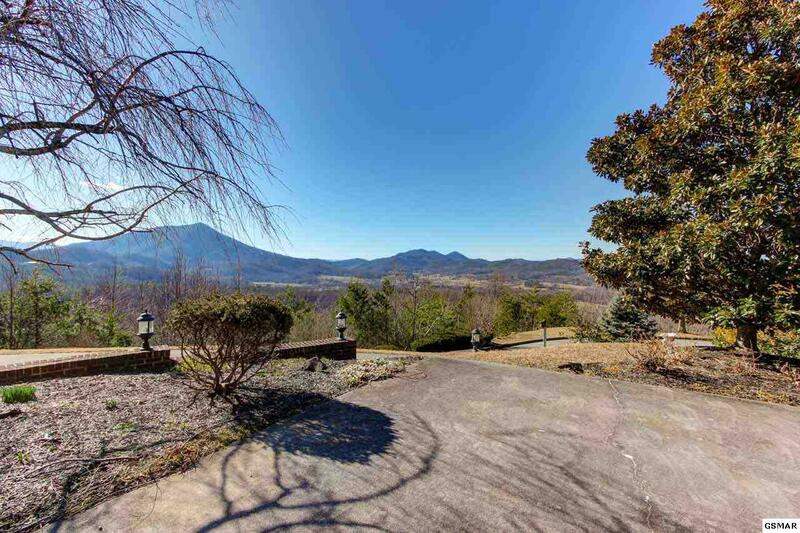 Sitting on 4 land parcels for privacy and view control, the loudest sound here is the singing of the birds and the wind in the trees - schedule a personal visit today to find your private haven in the Smokies! 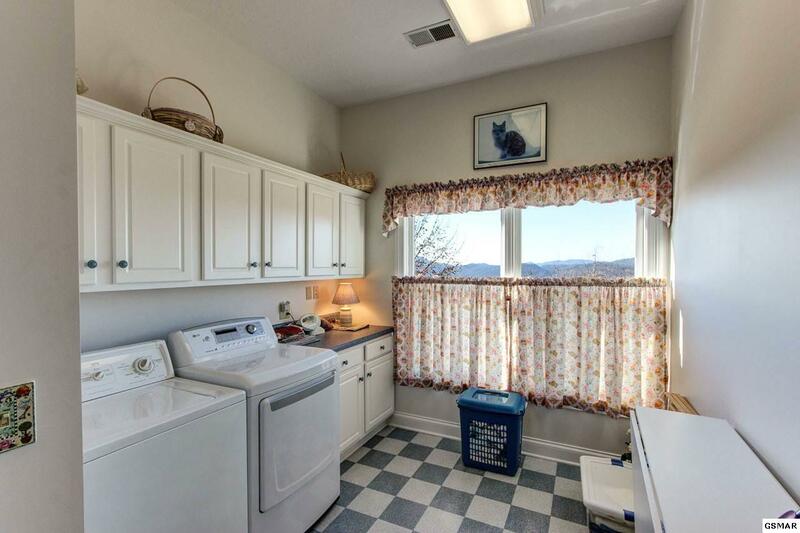 Utility Room Comments: Laundry With A View!